Governments are counting on regulatory action and voluntary pledges by companies to meet climate targets. The scandals and shortcomings involving carmakers show the pitfalls of the strategy. Goals set by governments that signed the Paris climate change agreement last month were based on figures determined to be attainable. A widening scandal involving carmakers that cheated on testing to make their vehicles appear more environmentally friendly than they actually were could weaken the accord or even make it meaningless. About one-fifth of greenhouse gases causing global temperatures to rise come from emissions related to the transport sector. Confidence and trust have been shaken, which is reason for increased oversight and research into better mobility solutions. Millions of cars, most of them diesel, are likely to be recalled for buybacks or repairs. Volkswagen in the US and Mitsubishi in Japan have so far been the biggest casualties, but investigations are now also under way in Europe into diesel vehicles manufactured by Daimler, GM and PSA Peugeot Citroen. About 630,000 cars made by Audi, Mercedes-Benz, Opel, Porsche and VW are voluntarily being recalled to tweak software involved in emissions of nitrogen oxide. There is good reason to suspect that petroldriven vehicles that produce carbon dioxide gases, the main cause of global warming, will be next. VW has been the face of the scandal, its admission last September after US investigations that it had installed software in 11 million diesel cars worldwide to deceive environmental regulators causing outrage. It has set aside US$18.2 billion to deal with the fallout and its share price has plummeted. Mitsubishi Motors’ stock value has also plunged, hit by last month’s revelation that the firm falsified test results to overstate the fuel efficiency of 625,000 vehicles produced for the Japanese market by between five and 10 per cent. What that means for emissions in Japan is unclear, but the US Environmental Protection Agency is more certain about the impact of VW’s cheating; it contends the firm’s diesel cars were emitting up to 40 times more nitrogen oxide than they were supposed to. In Europe, carmakers deny wrongdoing, although a British study has found 37 models, while meeting legal limits in the laboratory, exceed levels by up to 12 times when on the road. Governments are counting on regulatory action and voluntary pledges by companies to meet climate targets. The scandals and shortcomings involving carmakers show the pitfalls of the strategy. Watchdogs have a crucial role in keeping authorities and firms on track. Encouraging the development of better technologies and more sustainable transport systems is as important. The U.S. Defense Logistics Agency and the Connecticut Center for Advanced Technology recently released results of a research project that investigated the technical feasibility, commercial viability and environmental compliance of the use of liquefied coal and biomass mixtures as a military jet fuel replacement. 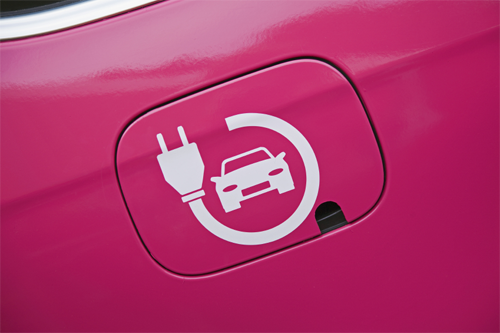 Overall, the research “showed potentially highly effective alternative fuel resources that can end the current debate,” according to the project report. Objectives of the study included the investigation, through analyses and testing of the use of domestic coal and biomass mixtures to make liquid fuel (CBTL), with a focus on gasification. The project team executed gasification testing and analyses of 150 coal-biomass feedstock tests, performing them at five different partner and facility locations—the Energy and Environmental Research Center in Grand Forks. N.D., the U.S. DOE National Carbon Capture Center in Wilsonville, Alabama, Westinghouse Plasma Corporation at Madison, Pennslyvania, ThermoChem Recovery International, Inc. in Durham, North Carolina, and Emery Energy Company in Laramie, Wyoming. All CO2 footprint projections of alternative jet fuel made from solid feedstocks tested were below the petroleum baseline for blended jet fuel (50 percent alternative fuel plus 50 percent petroleum-based fuel), thereby satisfying Section 526, according to the report. – When coal was the sole feedstock, the CO2 footprint was the largest and required the most capture. – Increasing percentages of biomass in the solid feed generally resulted in lower CO2 footprints and smaller amounts of required capture. – Torrefied wood offers advantages in blending with coal and lowering the CO2 footprint for the CBTL plant. – Municipal solid waste and biomass (considered to be “nuisance plants” in areas where they are abundant) may be economically feasible for use as feedstocks. – Feedstock preparation and feed system design are critical to the successful development of a large-scale CBTL project. – Electricity generation and CO2 displacement credits from CBTL are significant contributors to lower GHG emissions. At a ratio of 30 percent biomass, emissions were 38 to 62 percent below the baseline; with 10 percent biomass, 13 to 33 percent below the baseline; and with no biomass, 2 to 18 percent below the baseline. On economic findings, the study found that on the rough order of magnitude, cost estimates using the techno-economic model for a 50,000 barrel-per-day CBTL plant with an entrained flow gasifier or transport gasifier showed average required selling price (RSP) of jet fuel ranged from approximately $134 to $170 per barrel, on a crude oil equivalent basis. Instances where coal was the sole feedstock resulted in the lowest RSP; increasing the percentages of raw biomass in the solid feed generally resulted in a higher RSP. Using torrefied rather than raw biomass resulted in a lower RSP, according to the report. The project team concluded that blending various grades of coal with biomass presents a credible approach for reducing carbon dioxide emissions and producing alternative jet fuel. The report also includes several factors that can improve commercial viability of CBTL technology, as well as recommendations for future study. The mainland’s biggest LNG supplier is backing a move to introduce the fuel into Hong Kong’s transport market as an affordable solution to the city’s notorious roadside pollution problems. China National Offshore Oil Corporation (CNOOC) is working with a local company on plans to introduce liquefied natural gas as vehicle fuel, with a vision of building a network of LNG refuelling stations similar to those found in mainland cities. The partnership between CNOOC and the Hong Kong LNG Company will see the companies work with a cross-border coach operator to trial an LNG bus. But no refuelling facilities will be built yet because LNG is not covered by local laws. The bus will be refuelled in Shenzhen, which has at least 13 LNG refuelling stations to support hundreds of vehicles. Zhu Jianwen, president of CNOOC Gas and Power Trading & Marketing, said Hong Kong was surrounded by a massive, robust LNG supply network and could take advantage of this. The world’s third-largest LNG buyer, CNOOC imported almost 22 million tonnes last year. The Dapeng LNG terminal in eastern Shenzhen also supplies Hongkong Electric and Towngas via an underwater pipe. There are some encouraging signs that the government is beginning to recognise our local waste-to-biodiesel industry as an excellent already-working model of what it hopes to achieve more broadly for recycling and food waste in Hong Kong. But I must disagree with the Environmental Protection Department’s ongoing assertion that the introduction of biodiesel will have little impact on roadside emissions (“Biodiesel maker pushes product use in market”, October 28). Surely, given the World Health Organisation’s recent pronouncement that air pollution is a leading cause of cancer, no government can afford to ignore any positive incremental impact. Sunpods Inc. is California-based manufacturing company. They produce modular, fully integrated and tested solar power generation systems. 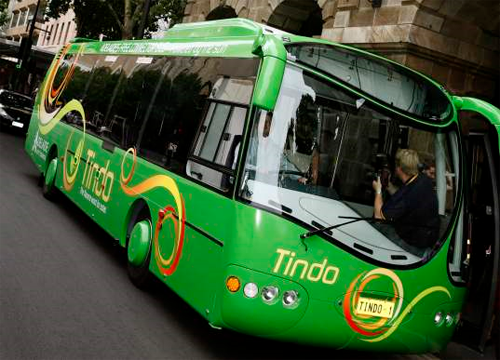 Recently they have come out with an idea of the first solar power-assist system for buses. They should be applauded for developing it in a mere six weeks. Their partner is Bauer Intelligent Transportation. The system developed by Sunpods will help Bauer to meet strict anti-pollution standards laid down by the State of California. California state law since 2008 has disallowed diesel vehicles to remain idle for more than five minutes. Now more than 25 states across the United States have anti-idling laws. Hong Kong will soon boast an automobile industry – but unlike most motor cities, this one will be green. In a joint venture with Taiwan and the mainland, Halo Motor plans to set up a small production line in the next two to three years and aims eventually to churn out 10,000 electric vehicles a year. A research and development center is also to open in the Science Park by the end of this month.